Thomas Algernon Chapman (1842-1921) was a medical graduate of the University of Glasgow and a prominent entomologist. He was born in Glasgow on 2nd June 1842, the son of Thomas Chapman, another significant entomologist. 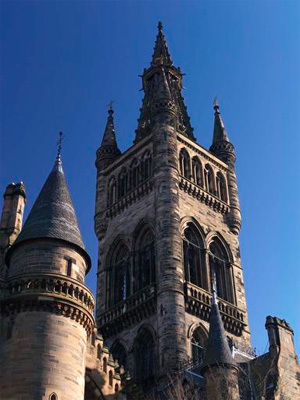 He graduated from the University of Glasgow with an MD in 1863. Upon graduating he embarked on a medical career, working at the Royal Infirmary in Glasgow, then in an asylum in Abergavenny, and later managing the asylum in Hereford. He retired in the 1890s and moved to Reigate. Within the field of entomology, he was primarily a lepidopterist (someone who studies butterflies and moths). He collected specimens for use in his scientific research, and discovered a new species of butterfly in the South of France, which he named Calloplirys avis. His research was not limited to butterflies. He was interested in the habits and biology of insects more generally, and examined and described the life cycles of many species of insects. He was a member of the Entomological Society of London, the Zoological Society of London, and the Royal Society, and often contributed to the publications of these societies. He died in Reigate on 17th December 1921.